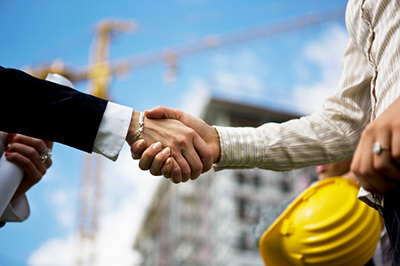 Our construction law attorneys in South Florida work very closely with our clients in reviewing and finalizing all of their job contracts. A decision by the Fifth District Court of Appeal from earlier this year serves as an excellent reminder for construction firms of the importance of avoiding mistakes in their contracts stemming from the use of multiple job proposals before contracts are finalized. L & H Construction Company, the general contractor in the case, filed the appeal after the trial court ruled in favor of Circle Redmont, the subcontractor which had sued L & H for breach-of-contract. The trial court concluded that the contract between the two parties was in error as a result of a mutual mistake or scrivener’s error stemming from Redmont’s submission of multiple job proposals, which L & H had requested. The error resulted in an impasse on the issue of whether Redmont would complete the installation of a staircase or simply supervise the installation. The appellate panel agreed with the trial court’s ruling that the word “install” in the contract was the result of a mutual mistake, and it was the express understanding of both parties that Redmont would supervise the installation rather than actually install the staircase. However, the appellate court ruled that the trial court’s judgment was internally inconsistent. It could not support the lower court’s finding that L & H breached the contract in May 2006, as it could not find any conduct by L & H that constituted a breach by that date. The court noted that it was hampered in reviewing the record because the trial court had sustained objections by Redmont and disallowed evidence about exactly what transpired when the parties reached the stalemate on the installation issue. The trial court found that this evidence constituted settlement negotiations, represented attorney-client communications, or was irrelevant. As a result, the panel ruled that this resulted in insufficient evidence to support the trial court’s final judgment, so Redmont essentially may have lost the appeal due to its own objections regarding the admission of the additional evidence. Of course, this litigation very likely could have been avoided by both parties if they had thoroughly reviewed the contract for ambiguities to ensure it was complete and correct. The mistake now appears to have proven to be very costly for Redmont as well as L & H, and the case has become just one of the many examples of the potential implications of errors in construction contracts. Our other construction law attorneys and I will continue to monitor and write about cases and issues such as this, and we encourage industry followers to enter their e-mail address in the box on the right in order to automatically receive all of our future blog posts.